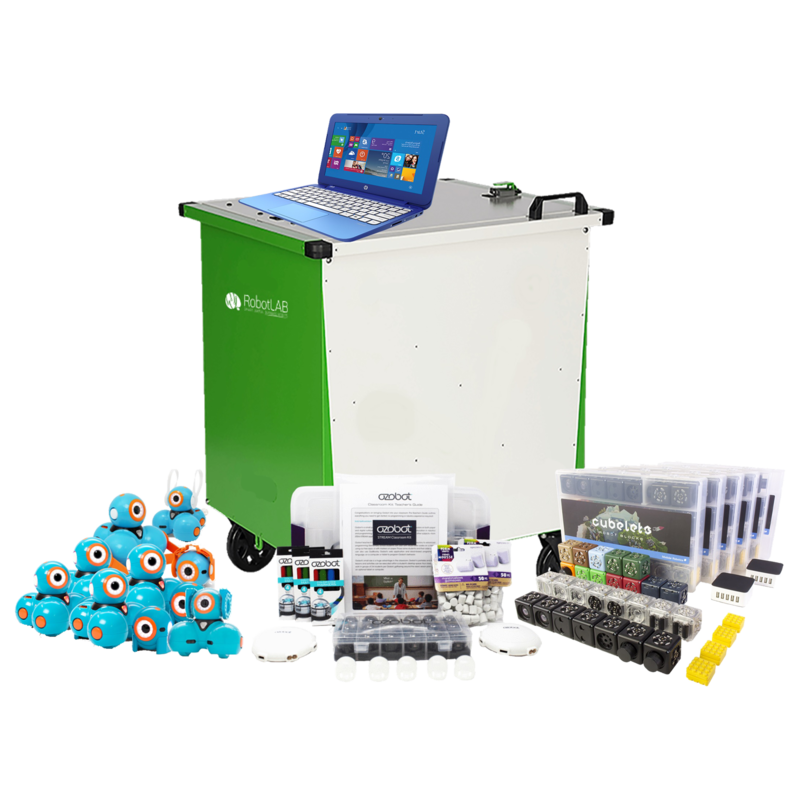 We brought into one turnkey solution what we consider to be the best technologies to teach STEM and Coding for grades K to 5. The RobotLAB K-5 STEM Lab is ideal for a classroom of 15 to 20 students and it includes everything you need to make your program successful. RobotLAB has the right robot storage to keep your equipment safe and charged. Our RobotLAB smart cart makes it simple to charge your robots when they're not being used, and they're all easy to move from classroom to classroom. Develop Problem-Solving skills and Computational Thinking. Spark the next generation of innovators by introducing procedural thinking, cause and effect, decomposition of complex tasks, pattern recognition and the ability to notice similarities or common differences, abstraction and algorithm design and the ability to develop a step-by-step strategy for solving a problem, all using Cubelets robots. 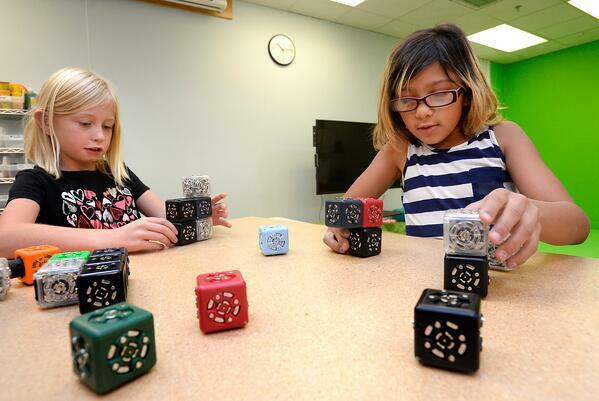 Cubelets are magnetic robot blocks that can be snapped together to make an end less variety of robots with no programming and no wires. You can build robots that drive around on a tabletop, respond to light, sound, and temperature, and have surprisingly lifelike behavior. Endless Possibilities, Endless Fun, Endless Learning. Unlock Your Sudents’ Potential, Today! The Cubelets CLASS package comes with 84 magnetic blocks that can be snapped togeth er to make an endless variety of robots with no programming and no wires. - 162 Cubelets: 12 Battery, 12 Passive, 12 Inverse, 12 Blocker, 6 Bluetooth, 6 Threshold, 12 Distance, 12 Brightness, 12 Knob, 12 Drive, 12 Flashlight, 12 Rotate, 6 Bar Graph, 6 Speaker, 6 Minimum, 6 Maximum and 6 Temperature. - Accessories: 48 Brick Adapters (12 sets of 4), 2 5-Port Charger, 10 Charging Cables, and 6 Storage Tubs. Dash & Dot are robust robots which are ready to go, right out of the box. Dash & Dot are responsive robots packed full of capabilities that allow them to interact with students, their environment, and each other thanks to their multiple built-in motors, sensors, LEDs and audio capabilities. Using Blocky with Dash & Dot, teachers are empowered to bring coding skills into their classroom while addressing Common Core math or ELA standards. 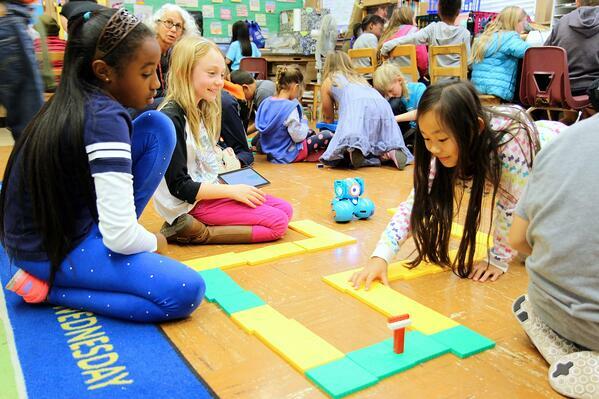 Dash & Dots robots and apps teach students from kindergarten and up how to code. With each of the five apps, students tackle a series of challenges and in-app puzzles that introduce the fundamental concepts of coding. The unique Wonder app uses state machine programming and an original visual design to advance young students’ understanding of computer science. The Blockly app uses the most kid-friendly block-based coding on the market to introduce students to programming. And Swift PlaygroundsTM from Apple® now powers Dash! An Ozobot is a small and smart line following robot. The new Ozobot Evo use precise movement and sensors to follow and react to colors on a page or screen. This simple form of communication and programming allow children of all ages to create and send Ozobot through an endless array of mazes, maps, and racetracks. Students begin by learning Ozobot’s simple color language as they draw mazes, paths, intersections and create entire worlds to explore puzzling playgrounds, fast tracks and intricate labyrinths. Programming Ozobot is not just simple and fun, it's fit to inspire - even for a young child. 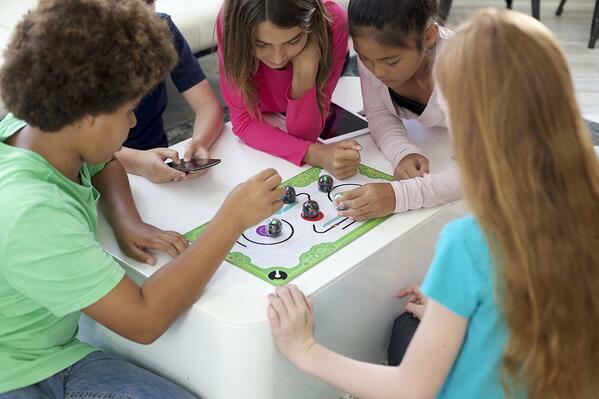 With over 25 unique code commands to control Ozobot's speed, decision-making and behavior - the possibilities of having fun are just a marker away. From racetracks to puzzles, labyrinths to lucky mazes, obstacle loops to battlefields, have access to tens of printable Ozobot challenges. Your students will find plenty to fuel their creative thinking, refine their logic, play solo or compete with teams in plain arcade fun. We have a spectrum of fully developed NGSS-Aligned lesson plans and activities for teachers of all types from grades K to 5 included in the STEM Lab. Developed in conjunction with educators in the field, these classes have been tested and optimized to impart critical STEM lessons. +150 lesson plans covering: Coding, Science, Math, ELA, Social Studies and Arts. Click to watch the video about RobotLAB K-5 STEM Lab.